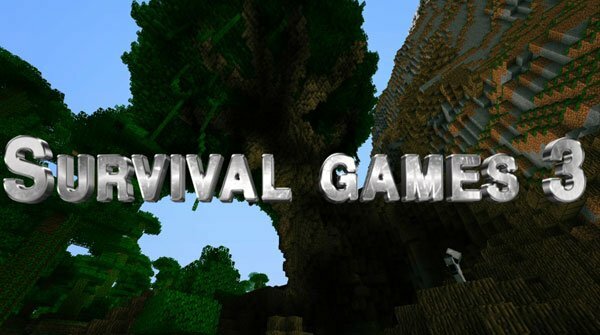 We bring a map to play PVP survival with up to 24 players at a time, based on the movie “The Hunger Games” . Survival Games 3 is a large map where you’ll find many hidden chests, puzzles and traps all over the map, even if it’s true that the best items are found in the central area of the same. Before start the Hunger Games in Minecraft, all participants must choose a tube around the center. This is the starting position. When the computer is ready to start the game, the host must activate the lever in the foster home and the pipes go up and give the game begins. How to install Survival Games 3 Map for Minecraft 1.3.2? Paste the downloaded map into the folder “saves”. Enjoy hunger games minecraft with your friends!